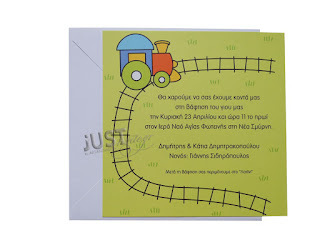 Greek Christening invitations decorated with a beautiful train in style children's drawing, for a boy coming in a chartreuse green board with a train pattern. The matching envelopes are classic square white paper. Size: 21 x 21 cm. Unit price: 1,18 euro. Printing cost 65 euro total (VAT included) Shipping cost not included. 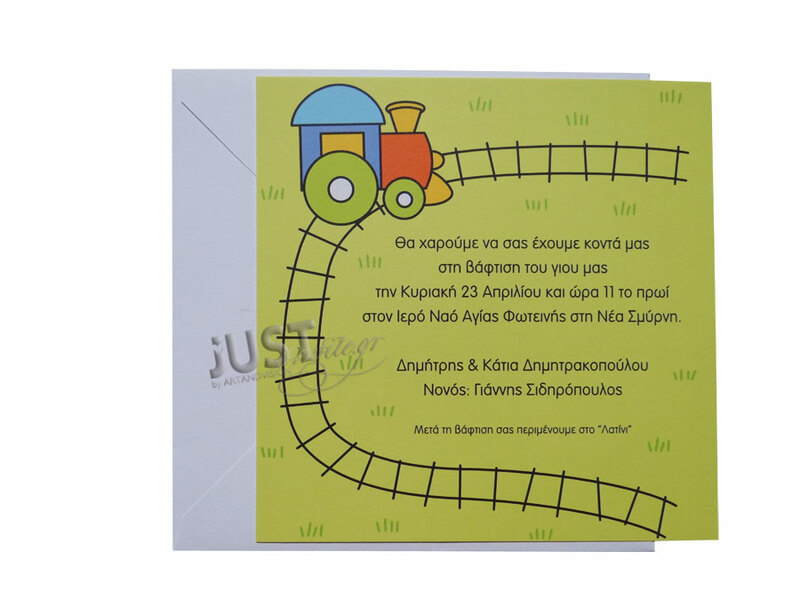 https://www.preciousandpretty.com/2017/04/train-themed-greek-christening-invitations-for-boy-C1119.html Greek Wedding Favors|Orthodox Crowns|Stefana|Baptism Invitations Train themed Greek Christening invitations for boy C1119 Train themed Greek Christening invitations for boy. Product #: Greek Wedding Favors|Orthodox Crowns|Stefana|Baptism Invitations_370907828601570393 5 stars out of 5 reviews.